Mention water conservation and most people think about ways to use less for tasks like cleaning, cooking, irrigation and industrial processes. 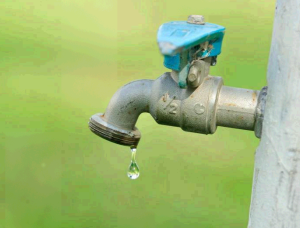 An often overlooked aspect of conserving water is preventing wastage due to leaks. According to the US Environmental Protection Agency (EPA), the average household loses 9,400 gallons of water annually from leaks. This adds up to nearly a trillion gallons of water wasted and we haven’t even considered industrial and commercial water wasted. 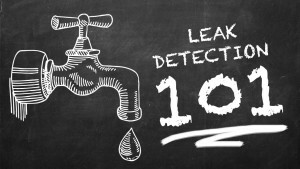 Leak detection systems provide a solution that minimizes the risk of leakage and your exposure to water damage. Leak detection systems come in multiple configurations depending on the application. They can have alarms and notifications (passive systems) or they can shut off the supply immediately (active systems). Most systems that shut off the supply will also send notifications to smartphones, allowing you to monitor your system remotely. Moisture sensors are strategically located near potential sources of leaks. If moisture is detected, it sends a signal to an alarm or smartphone to notify you that a leak has been detected. This enables you to take immediate action to shut off the water supply and inspect the location where the leak was detected. Flow monitoring systems measure the flow through your pipe, either at the main entrance to your building or at a branch to an appliance or water heater. 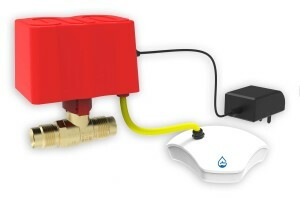 If there are changes to the flow that match a leak or pipe burst, the system shuts off flow and notifies you. This option is especially effective if you are away from your home or business and cannot address a leak immediately. You can also choose a sensor-based system with water shutoff that turns off the supply once moisture is detected by the sensors. Choosing the right configuration will keep your property safe, conserve water and reduce your utility bill. If you need guidance to make the right decision for your business, home or industry, give us a call and we can discuss the best solution for you.